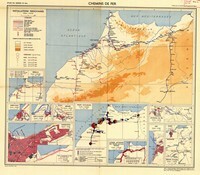 Map of Morocco various information. 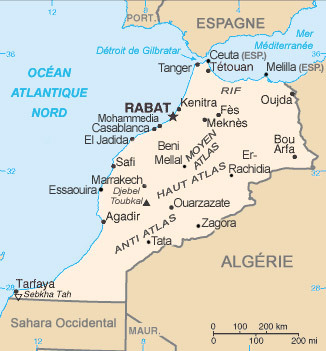 Map of cities and airports of Morocco. 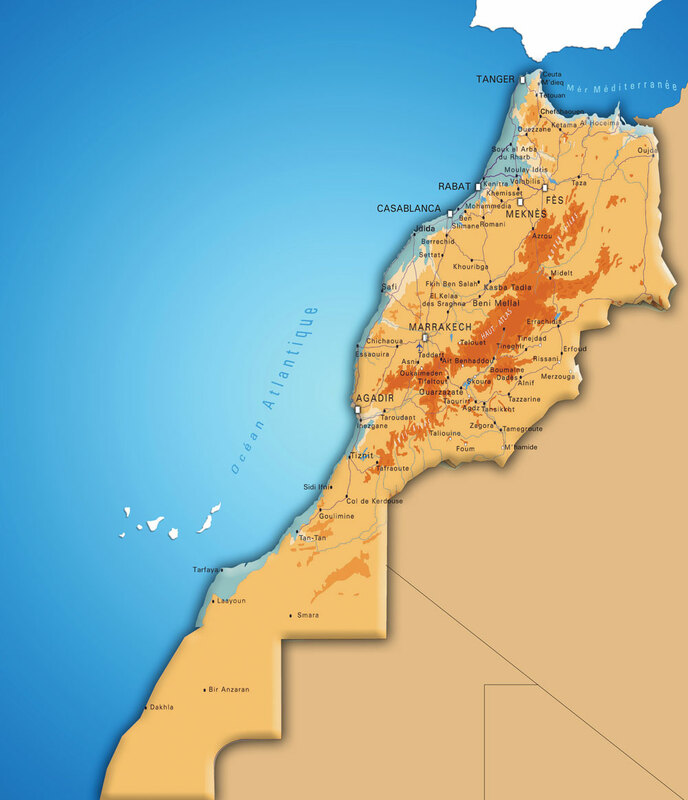 Map of economic regions of Morocco. 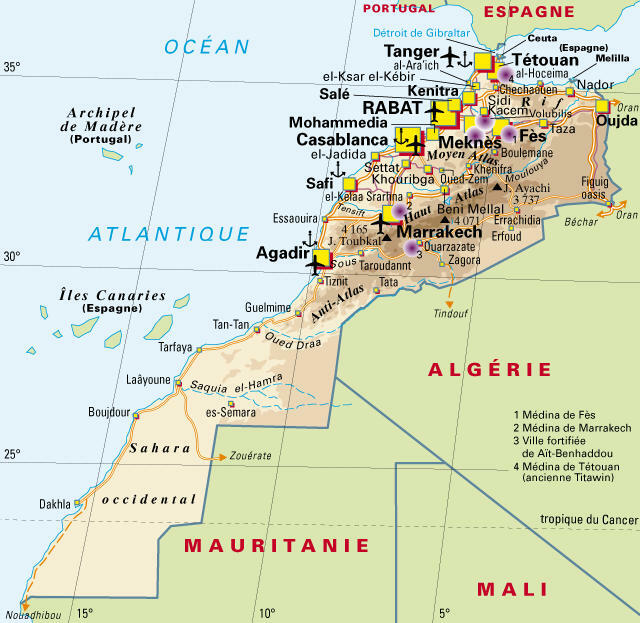 Map of regions and borders of Morocco. 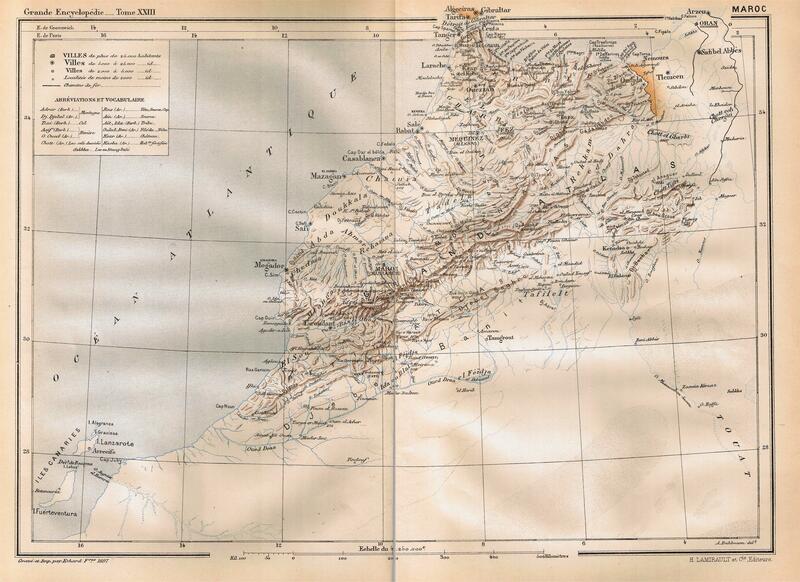 Map of Berber and Arab Morocco. 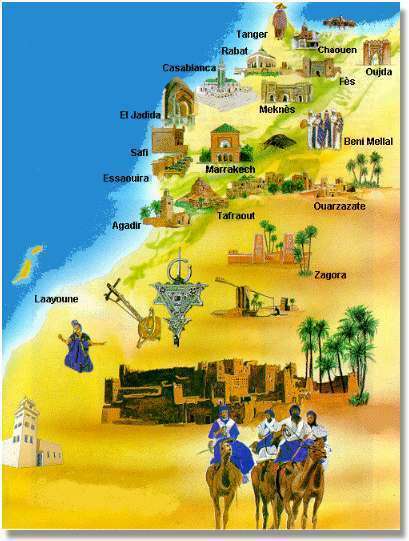 Old map of Morocco's cities and population. Map of Morocco with a 3D effect. Old System Map ferrovier Morocco (trains, station). 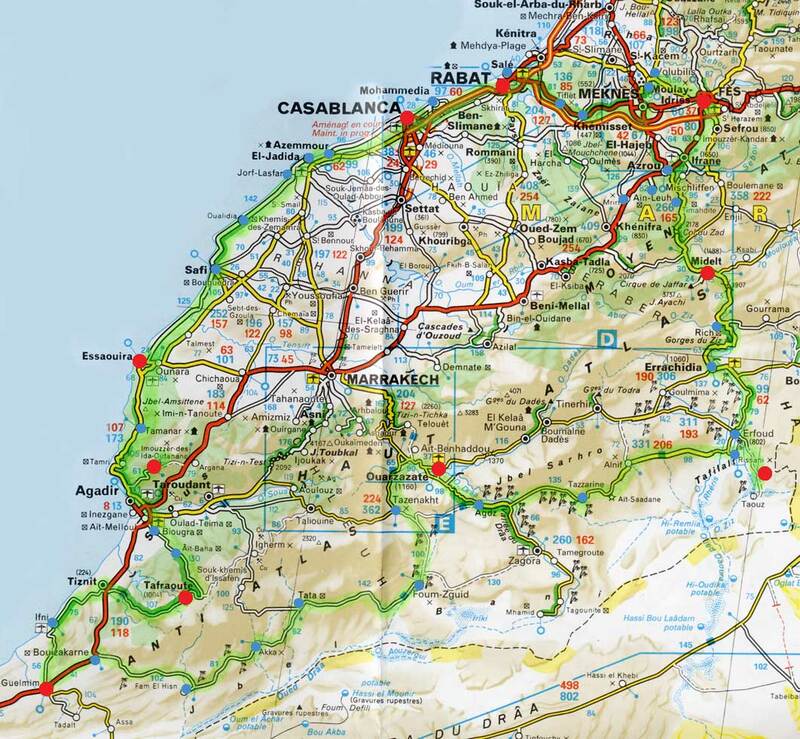 Map of cities and roads of Morocco. 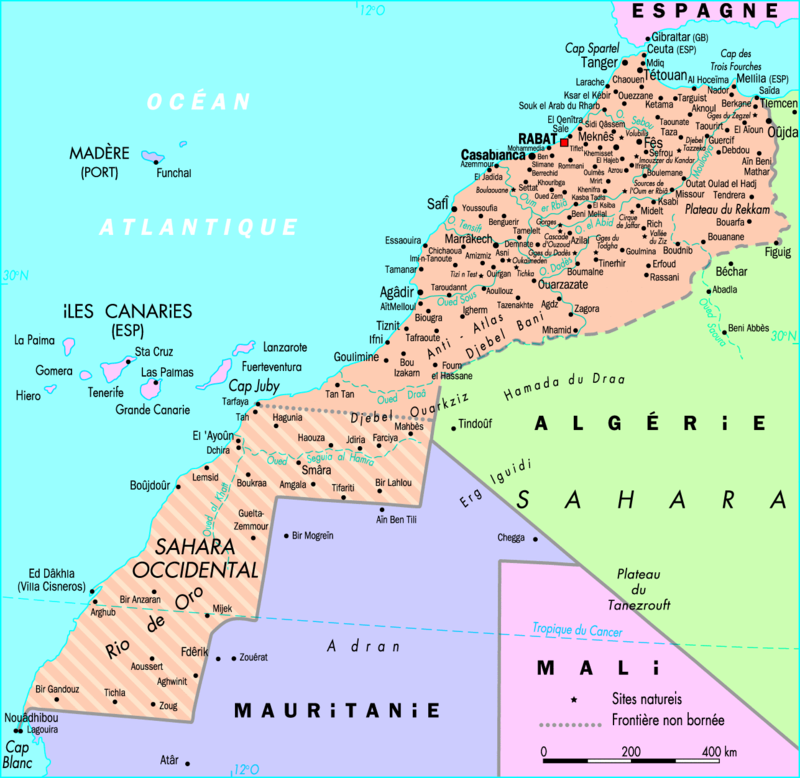 Map of Morocco, the Sahara, countries and islands around Morocco. 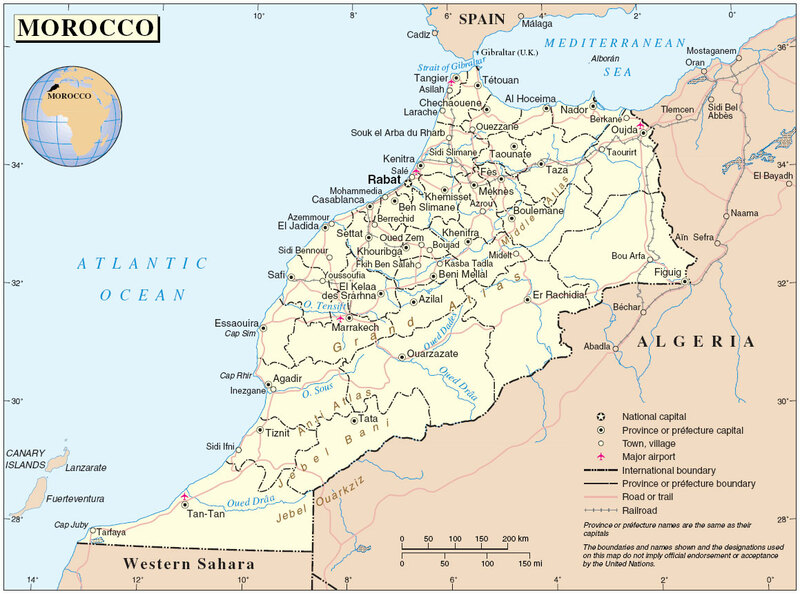 Map of rivers and cities of Morocco. Relief map with altitude and without the cities. 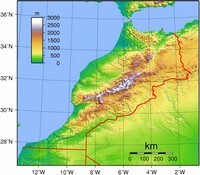 Morocco map with scale in kilometers and miles. 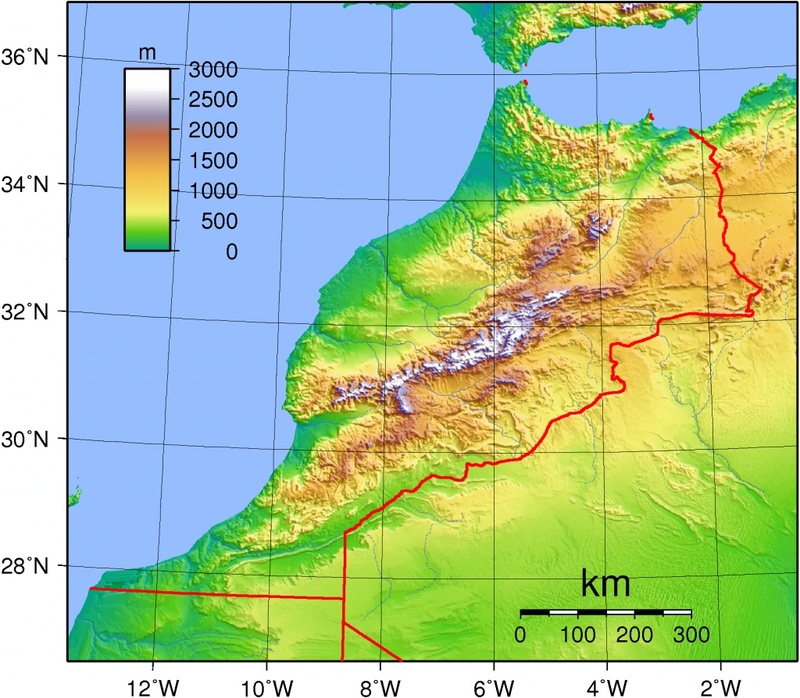 Relief Map of Morocco without the altitude. 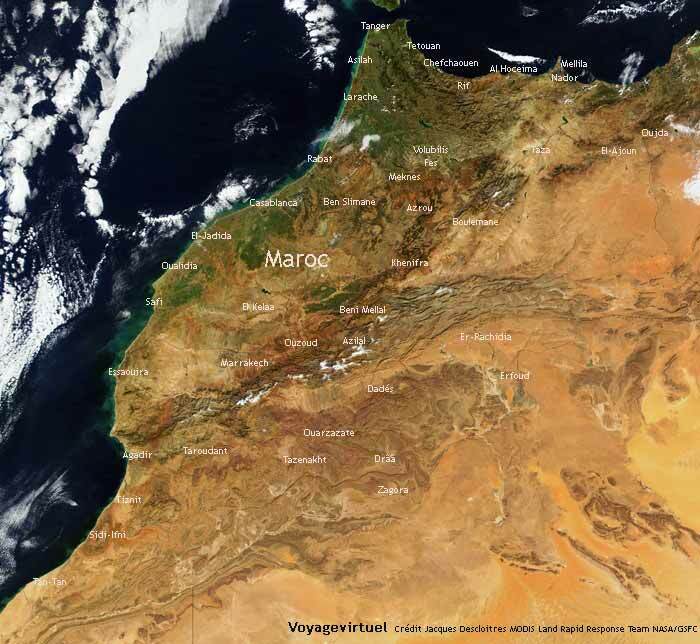 Satellite map of Morocco with cities. 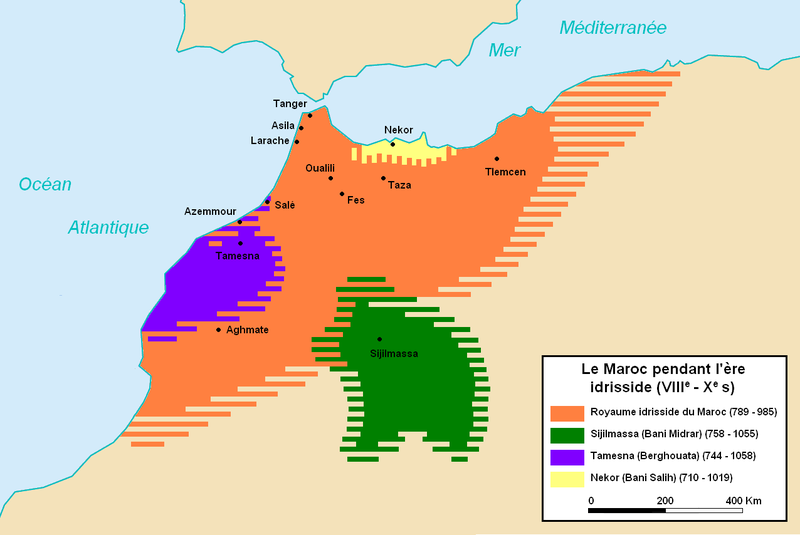 Map of Morocco during the era of Idrisside eighth to tenth century. 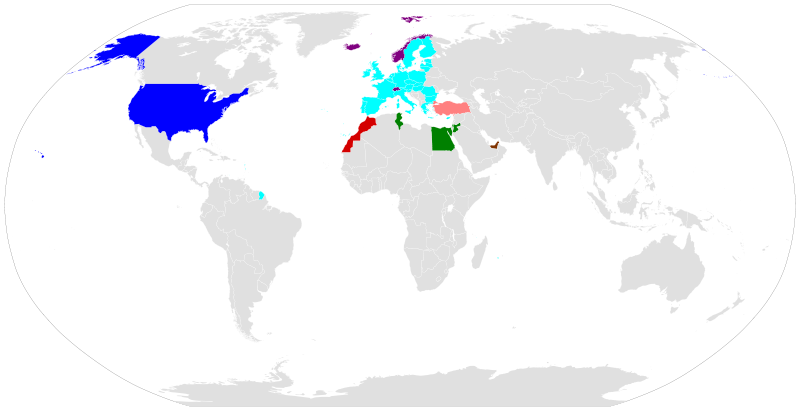 Map of Free Trade Agreements in Morocco in the world. 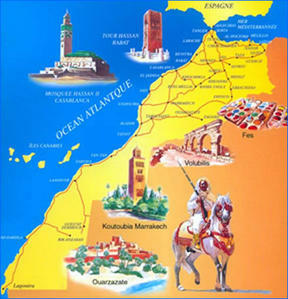 Another decorative map of Morocco.